The Docklands is recognised as being the corporate business centre of Dublin city. In 2015 Dublin Docklands Development Authority sent out to tender a call for new street litter bins which would befit this area. The area is populated by many of the world’s largest corporate giants such as Facebook, Google and many others. The blend of original cobble paving and old granite quay walls together with contemporary architecture create an environment where heritage and modern living coexist to make it a welcoming space for cosmopolitan corporations such as these. In 2015 Dublin Docklands Development Authority sent out to tender a call for new street litter bins which would befit this area. 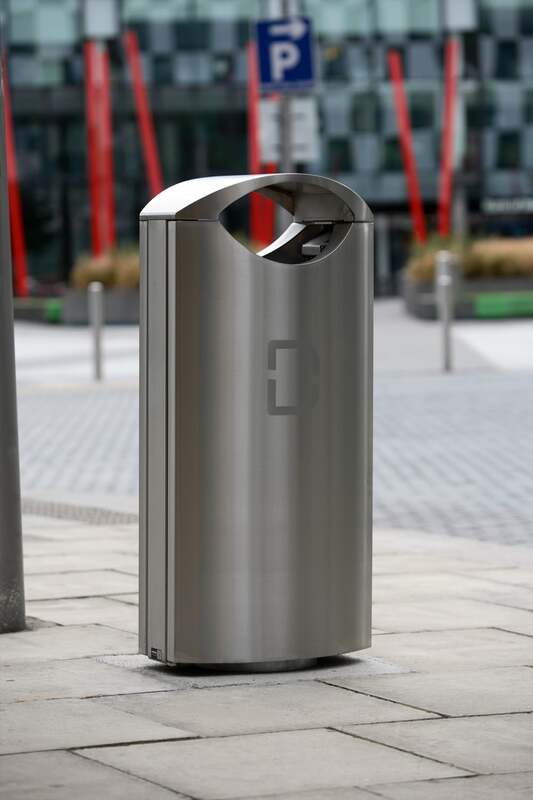 Their demands centred around the aesthetic and tactile quality of the product but equally important were the requirements of Dublin City Council who are responsible for maintaining and emptying the bins. It was the ability of the s16.2ss to satisfy both of these quite different requirements that made it the product of choice.